OnePlus 6 launch is reportedly just around the corner, but we have already seen a lot of rumors and reports about its launch date, specifications, features and forms. Although the leaks should be taken with a pinch of salt until the device is actually released, some of them are more convincing than others. Until earlier this month, not much was known about the launch date of the phone. However, a recent rumor suggested that the OnePlus 6 launch in China can be on May 5. The launch of a device does not imply that the handset would be available in retail stores simultaneously. Usually, the handset is made available in the market a few days after the launch or official announcement of the device. Also there are reports that the OnePlus 6 launch could coincide with Marvel’s Avengers: Infinity War, which releases on April 27. So, there are good chances of a special Infinity War edition of the OnePlus 6. Reports are that the special edition would be only for the U.K. and India. Talking of what to expect from the handset, two new developments indicate that the OnePlus 6 would be water resistant and would come with certain unique camera features. OnePlus, in a tweet on Monday, said, “Don’t you just hate it when you have to stop using your phone when it rains? So do we ;).” While the tweet does not give any information on the level of water resistance, one should expect it to be a IP67 rating, if any cue is to be taken from current generation Android handsets. For the camera features, the hint was thrown out from none other than OnePlus CEO Pete Lau. The CEO posted various daylight shots online, thus hardly revealing anything about the low-light performance of the smartphone camera. The photos were supposedly taken at the Standard Campus in California and included flower beds and buildings. Other expected specifications include the latest Qualcomm Snapdragon 845 SoC, 8GB RAM and up to 256GB of inbuilt storage along with the vertical dual-rear camera setup. A few features that have been confirmed by OnePlus itself include a display notch and Alert Slider with additional functionality. There would also be a 3.5 mm headphone Jack. The notch in a smartphone refers to the space at the top of the screen which houses the front-facing camera-sensor and earpiece. 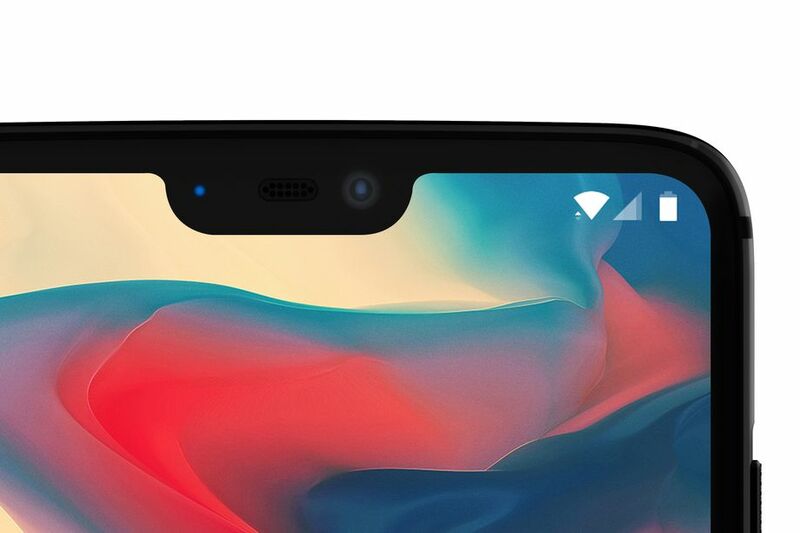 Pioneered by the iPhone X, the notch was quickly included by other Android manufacturers in their smartphones. The rumor was later confirmed by OnePlus co-founder Carl Pei. Also, there have been leaked images of the handset with the notch. OnePlus has always been a bit different when it comes to the body of the handset, starting with the Sandstone back for OnePlus One, to Ceramic and then finally the use of wood for replaceable back covers. Recent reports also suggest that the OnePlus 6 would have one variant with a wooden back. There are also chances that it would have the wooded style Swap covers. Either way, strong rumors are that at least one variant will have a wooden back. On the pricing front, the Chinese site CNMO suggests that the OnePlus 6 might cost around $749. If this is true, then the handset would be $200 pricier than the OnePlus 5T. At $749, it would not only be OnePlus’s most expensive handset, but would also cost the same as the Galaxy S9. The phone is also expected to extract some of the features from the original smartphone. So, fans expecting an entirely new feature may be left disappointed. Apart from these rumors and reports, OnePlus has also been giving hints of the OnePlus 6 launch. A report from Engadget last month claimed that the 5T version is facing stock shortages in North America, and the Chinese firm is in no mood to manufacture more of the current model. For OnePlus, North America accounts for 25% of its total online sales. OnePlus keeps tight control over inventory, a strategy that helps the company to keep devices cheaper compared to other manufacturers. Not only in the U.S., the OnePlus 5T stock also has dried up in India as the company readies for the OnePlus 6 launch. However, the 5T would still be available on the e-commerce platform Amazon India, but only the 64GB variant. The shortage suggests that the Chinese company has achieved its target number in India, and is now looking to launch the OnePlus 6 soon. So far, OnePlus 5T has been the best selling smartphone for the company. During a preview sale on Amazon India back in November, the handset sold out within 5 minutes. And now, the Chinese company will be hoping the same for its next flagship.